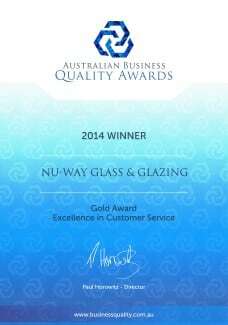 Nu-Way Glass & Glazing are the premier double and triple glazing windows and doors professionals in Perth and Western Australia. 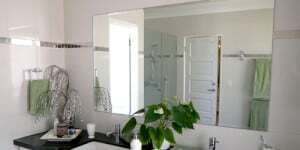 We also specialise in shower screens, splashbacks, mirrors and sliding wardrobes. All our double glazed products are custom-made to order with our clients’ unique specifications and needs at the foremost our minds. Made from German components to the highest of standards our double glaze windows and doors come with technological innovations such as thermally broken frames, low emission glass and argon gas. These “premium options” not only come as standard in all our products compared to our competitors but we offer our double glaze windows/doors at a very competitive price. Double glazing provides robust protection against the Australian sun and will keep the house cool in the hot summer and warm in chilly winter. Stop up to 70% in heat loss and 77% in heat gain with double glazed windows and with our thermally broken frames, argon gas filled units and low emission glass we provide the best level of protection against the Australian sun. Noise insulation is also an important feature. Double glazing significantly reduces ambient noise as well as intrusive sounds like traffic, airplanes or noisy neighbours. Made from the highest quality standards and from renewable materials double glazed windows from Nu-Way not only enhances the aesthetics of your house but you can be rest assured that you’re not harming the environment! With a superior product at a competitive price you won’t regret choosing Nu-Way Glass & Glazing as your double glazing provider. 6-star energy rating for new projects. 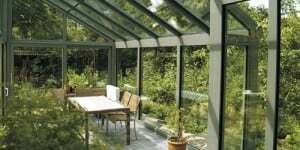 Nu-Way Glass & Glazing applies a wide range of materials including various types of timber, and variety of uPVC and aluminium profile systems, as well as composite systems such as timber-aluminium and uPVC-aluminium. What’s the difference between Single Glazed Windows vs Double Glazed Windows? Trying to decide between single glazed and double-glazed windows for your home, but don’t quite understand the difference? Don’t worry, we hear you and we’re here to help. The sealed argon filled gap between the two panes of a double-glazed window provides an additional layer of insulation. This thermal resistance reduces the amount of heat escaping in winter and keeps your home at a more comfortable temperature. Double glazing also has the reverse effect in summer, preventing unwanted heat from coming into the home as the low emission glass will bounce the UV radiation off its surface.This extra insulation decreases your reliance on artificial heaters and air conditioners which will ultimately reduce your energy costs. Double glazed windows are considered a safer option when compared to standard single glazed windows. The double glazed unit has 2 pieces of glass which make it more difficult to break also our windows are fitted with a multi-locking system. 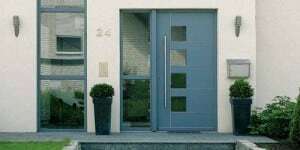 If security is paramount for you and your family then double-glazed windows may be the best choice for you. If you choose to buy double glazed windows, you’re spending marginally more than if you choose to buy single glazed ones, sure. However, you will be getting a sleek, innovative and practical design that matches the price tag and more importantly, a price tag that matches the quality of the product. In addition to this, keep in mind that double glazed windows will pay for themselves over time as you will be constantly saving on your energy bills, making them the smarter choice in the long run. With the extra price tag on double glazed windows, not only are you getting a higher quality product, you’re also getting style. Double glazed window finishes are glossy and are available in a variety of colours to choose from. This combination of smooth finishing and double glazing technology will give you the ultimate look when styling your home. We apply a wide range of materials including various types of timber, and variety of uPVC and aluminum profile systems, as well as composite systems such as timber-aluminum and uPVC-aluminum. 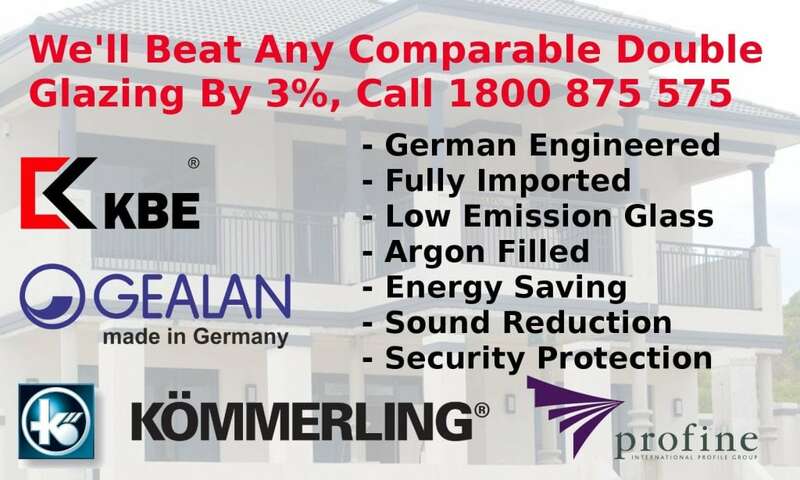 Give us a call on If you have any question on pricing give us a call on 1800 875 575 or visit our double glazed windows cost guide. Nu-Way Glass & Glazing specialises in manufacturing, supplying and installation of full range of SHOWER SCREENS, KITCHEN SPLASHBACKS, MIRRORS AND SLIDINGS WARDROBES.